On 4 & 5 March 2019, the 100th establishment anniversary of Bauhaus, ARUCAD is organising a workshop on Colour Theories with Prof. Gören Bulut. The participants will be taught the basic principles of colour, through the teachings of colour theories of one of Bauhaus’s prominent instructors Johannes Itten, in the workshop carried by Prof. Gören Bulut. After introducing the basic features of colours such as: primary, secondary and opposite colours, the contrast values of colours, the use different colours with other colours, their intensity and their saturation the circle of colour will be created and practical work will commence. The workshop will take two days and is held for ARUCAD students. A special quota has been reserved for guides, art and subject teachers. Applications can be made through info@arucad.edu.tr. Gören Bulut, who has given over 40 years of his life to art education, was born in 1945 in Mürefte. He has graduated from Gazi Institute of Education, department of art, in 1967, specialised in Graphics in Saint Martin’s School of Art, London in 1982 and completed his Master of Arts in Chelsea School of Arts, London in 1983. He has acquired Art Proficiency from Dokuz Eylül University, Institute of Social Sciences. He was assigned to various administrative roles Dokuz Eylül University, Faculty of Fine Arts. After retiring in 2005 Bulut took on another duty in Yaşar University, Faculty of Communication. He undertook the roles of Dean of Faculty of Communication, Founding Dean of Faculty of Art and Design and Vice Rector respectively. He conducted Review & Research trips to Poland’s Krakow Print Triennial & Academy of fine Arts & museums in Warsaw in 1991, Hungary’s József Attila University in 1998 and Hungarian Academy of Arts in Budapest and Timisoara Academy of fine Arts in Romania in 2005. 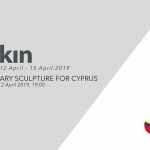 He has displayed various personal and mixed work in various national and international settings and still continues to work in his workshop based in İzmir.